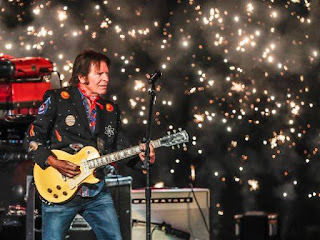 Photo from John Fogerty's Facebook page. Put him in, Coach, he’s ready to play. John Fogerty’s 50 Year Trip tour will bring the Creedence Clearwater Revival founding member to The Venue at Horseshoe Casino in Hammond, Indiana this Friday night. He’ll be performing classic CCR swamp rock songs like “Bad Moon Rising,” “Born On The Bayou,” and “Green River,” as well as his solo hits like “Centerfield” and “Rock And Roll Girls.” Tickets range from $64.50 to $94.50. Fogerty will take his 50 Year Trip to The Wynn in Las Vegas from April 10 through 20. A post on his Facebook page states, “Can’t wait to share stories and celebrate my songs and career with you. We are even going to play the entire Woodstock set.” CCR fans that live in the Chicago area and can’t make it to Nevada, might consider checking out the Green River Revival tribute band at the Metropolis Performing Arts Center in Arlington Heights on April 13. Leeds/Chicago legendary punk band Mekons are having a listening party for Deserted, their first album in nine years, tomorrow night at Delilah’s on Lincoln Avenue. There will also be DJ sets by Bloodshot Scott and Mekons member Jon Langford. The party starts at 9:00 p.m. and there is no cover charge. Deserted officially drops on March 29. Former Doctor Who and Penny Dreadful cast member Billie Piper will be among the guests at this year’s Lexington Comic and Toy Con in Lexinton, KY coming March 21 – 24. Along with Christopher Eccleston (as The Doctor) Piper ensured the Doctor Who reboot was a smashing success. 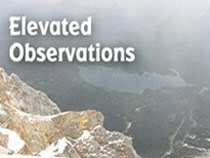 The 8th Annual One Earth Film Festival continues to screen environmentally friendly films throughout the Chicago area through March 10. See the official website for times and locations. The Chicago Philharmonic, led by composer and conductor Tom Nazziola, will provide a live soundtrack for a trio of vintage silent films at 4:00 p.m. on March 24 at the North Shore Center for the Performing Arts in Skokie. The Silent Sherlock event will present Buston Keaton’s Sherlock, Jr. as the main feature, along with Fadeaway with Koko the Clown and Sure-locked Holmes with Felix the Cat.